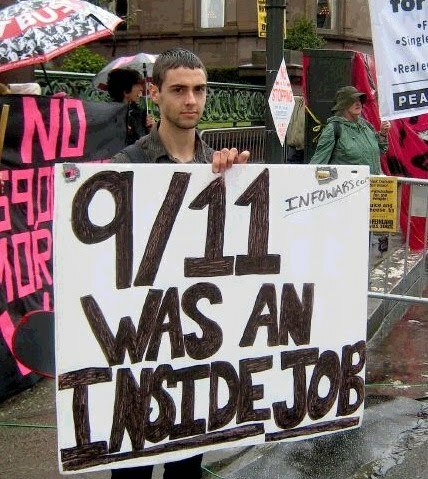 Is This Man Responsible for Controlled Demolition on 9-11? Hey, I'm just asking questions. The Troofers are all agog at the latest revelation over at Gage's Gaggle of Geese, by a guy who appears to have been a photographer for CDI, and who claims to have also placed charges in the Kingdome and other controlled demolition sites. But note the very curious documentation he provides. A Certificate from the FDNY, dated 7/9/01, a full two months BEFORE 9-11. Note the description of his function: POWDER CARRIER. What kind of powder, hmmm? Doesn't sooper-dooper nanothermite come in powder form? David Ray Griffin attempts to use the McChrystal controversy to focus the attention on what he thinks is important, namely, himself. There is so much wrong with this essay I could go on for hours, but I will just touch on a few points of stupidity. If the sons and daughters of wealthy and middle-class parents were coming home in boxes, or with permanent injuries or post-traumatic stress syndrome, this war would have surely been stopped long ago. Uhh, yeah, because nobody in the military is middle-class or anything. Does this idiot realize that John McCain, Sarah Palin and Joe Biden have children in the military? Although the US government claimed that its military operations in Afghanistan were justified by the need to prevent a second attack, this need, even if real, was clearly not urgent, as shown by the fact that the Pentagon did not launch its invasion until almost a month later. Bizarrely, after years of claiming that the war in Afghanistan was preplanned, now they are arguing that they took too long. Geez, Dave, maybe it had to something to do with the fact that Afghanistan is a landlocked country 8,000 miles away? Of course what this moron specifically fails to mention is the UN has its own security force in Afghanistan, ISAF, which it authorized in Security Council Resolution 1386. They don't seem to have much of a problem with the US presence. The public has widely assumed, due to misleading claims,59 that the names of the alleged hijackers were on the flight manifests for the four flights, and also that the autopsy report from the Pentagon contained the names of the hijackers said to have been on American Flight 77. However, the passenger manifests for the four airliners did not contain the names of any of the alleged hijackers and, moreover, they contained no Arab names whatsoever. Geez, welcome to 2002. Amazingly this whole claim based off of a list of victims on CNN's website manages to get recycled, 9 years later. Over the last three weeks you have been informed about the overwhelming evidence that World Trade Center Building 7 was demolished with explosives. I trust that you understand the serious implications of this crime and that you are resolved to prosecute the guilty parties. And yes, speaking of set up to fail, they did fail at their new, lowered goal of 500 letters or faxes in Week 3; they came up about 279 short. Instead of increasing their numbers by 130%, they increased them by 1.5%. Flimsy is what I'd call it. By this logic, Obama caused the mortgage crisis, so that he could get health care reform passed. If Bush wanted a casus belli against Iraq, why didn't he make the terrorists Iraqis? No, that doesn't add up; one month after 9-11-11 is 10-11-11, but then expecting sense out of Honegger is like expecting the truth out of Joe Isuzu And I do have to chuckle a little bit at the proposed date: 11-11-11! Interesting article, perhaps a shade too sympathetic to the kooks. Michalek, a retired teacher, probation officer, truck driver, farmer and military veteran, said he lies in bed wondering how he can make people understand that, whatever happened, 9/11 cries out for further investigation. "I wake up at 3 in the morning," he said, "asking myself: How can I better reach people? How can I change minds? For me it was easy. I knew the government lied to me about Vietnam, because I was there." Spread out on a table was a small video library. Dave Scar, 58, of Woodward, said he's made 11,000 copies of various titles. Simply ask and ye shall receive. Beginners, Scar said, might want to begin with "Loose Change" then work their way to "Zero: 9/11" or "911 in Plane Site" or "Blueprint for Truth" or "9/11 Mysteries." In Plane Site? Sheesh, we get accused of only covering the disinfo if we talk about that movie. And 9-11 Mysteries, the movie that was inspired by a Holocaust Denier? As always, the real kookery comes out in the comments. No surprise, it turns out there was more to the story than the WAC-jobs wanted us to know. Remember those "involuntary" facial expressions? Bruno was making various facial expressions of displeasure at the judge and he was admonished that if he did not cease doing this then he would be asked to leave the court. Bruno acknowledged the communication from the judge but continued to show his displeasure with his facial expressions. At which time the judge repeated himself and had Bruno removed. Hey, Bruno, don't forget that if your name is in all caps on the indictment, you can have the charges thrown out! And check that flag in the courtroom for a gold fringe! Bruno is one of the sanest, most active and effective 911 truthers out there and he needs our help. That says less about Bruno than it does about the rest of the "Truthers". Bruno was on the Alex Jones show today to give us an update on his situation. He claims to be facing up to three years in the pokey for his antics in the courtroom. He says he's got a strong case due to all the witnesses, but Alex was not nearly as optimistic. Alex also did his usual routine about how the cops are a bunch of slavering idiots doing the will of their NWO masters. Aside from that, the segment amounted to little more than a "please send money" bit. Gotta love this latest exhortation from Ted Walter on the NYC-CAN push to get the NYC District Attorney to open an investigation into the collapse of WTC-7. 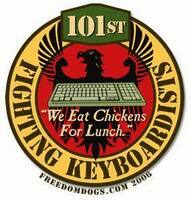 Remember, the prior week they got 133 letters or faxes written and sent. This week? My question exactly. Okay, a jump from 133 to 217 is about a 63% increase. That's pretty significant. But what would they need to get in Week 3 to reach their "minimum" goal? Another 130% increase. And in Week 4 they would need a further 100% boost. WeAreChangeLA Organizer Faces Terrorism Charge WeAreChangeLA’s lead organizer Bruno Bruhwiler is being targeted as a terrorist threat. It all began when Bruno was sitting in the audience at a civil hearing for another WACLA member. The Judge literally did not like Bruno’s involuntary facial expressions, and ordered him out of the courtroom. Sounds totally credible to me. Involuntary facial expressions? Make 'em all the time. And it's good that the judge didn't dislike them in some figurative sense. Two felony resisting arrest charges were then tacked on, which means Bruno is charged with physically resisting the officers – twice? - though witnesses observed that Bruno did not ever resist the officers. The arresting supervising officer claimed that Bruno threatened to assassinate him, then the same officer ordered an underling to back up his claim as a false witness and charged Bruno with making a “terrorist” threat. After 911, legislation was passed making it very easy to charge ordinary citizens as “terrorists” for almost any reason. While in custody, at another location for incarceration, Bruno was asked by an officer if he was the lead organizer of WeAreChangeLA, and the officer asked with a snide tone if Bruno had a website, with other officers looking on. Either they did some quick research on him or they recognized Bruno from some other way, but they knew he was the lead organizer of WeAreChangeLA. I'm going to guess that a bunch of WAC-jobs were calling the various police stations, giving out this very information. This is a series that's getting a fair amount of attention from the Truthers, which goes through fluoride in the drinking water, FEMA death camps, Tim McVeigh, etc. This episode is on the 9-11 Commission and contains the usual quote mining of John Farmer, Tom Kean, Tim Roemer and others, with the predictable conclusion that "we need another investigation." The Intro to Loose Change 5? Any bets on how long before this gets worked into a conspiracy theory? WASHINGTON — The United States has discovered nearly $1 trillion in untapped mineral deposits in Afghanistan, enough to fundamentally alter the Afghan economy and perhaps the Afghan war itself, according to senior American government officials. The previously unknown deposits — including huge veins of iron, copper, cobalt, gold and critical industrial metals such as lithium — are so big and include so many minerals essential to modern industry that Afghanistan eventually could be transformed into one of the most important mining centers in the world, the U.S. officials believe. OK, it took them a decade to even discover it, but the NWO is really, really patient. Russia Today on the Srebrenica Massacre "Kangaroo Court"
OK, rather off topic, but the truthers aren't doing much of interest nowadays, and since Russia Today has become their unofficial media promoter, I thought some of you might be interested in what else they consider journalism. As someone who has spent a fair amount of time in Srebrenica I have always had a particular interest in this subject. The Latest Word from the "Truthers"
Jon Gold's trial was put off, to much moaning. The Truthers got their wish, as an extensive new investigation of 9-11 was authorized by Congress. Well, no, but a lot of money was authorized for the 9-11 first responders, which is something we can all applaud. That's about all. Oh, they published another peer-reviewed paper. My personal psyop is threatening to show up to this. Why is it most of my "enemies" are those who claim to fight for truth, accountability and justice for the 9/11 attacks (even though they don't)? I bet this has something to do with it. Well, Jon, first of all I'm disappointed to hear that I'm not your personal psy-op. Crap, who have we got on you? Oh, her? But she's one of the--forget I said that. Yes, and then be sure to pull that black button that makes sure you get the best shot at him. Errr, I mean, of him, of course. I mean, seriously. Does anybody really think that Jon Gold is somehow a dangerous individual? If you buy the Troofers' theories for a moment, who is most dangerous to the "official story"? Generally, Griffin, (Steven and Alex) Jones and Gage, I would say, with arguments to be made by Avery, Fetzer, Sofia, Hufschmid, Meyssan and Meserlian. But on any sane scale Gold is way down on the totem pole. Of course, to the paranoid that is precisely the problem; they are not prominent enough to garner attention if they are murdered but they are prominent enough that their deaths would silence others, nay, have silenced others. That's how many people sent in letters/faxes to the NYC District Attorney requesting an investigation of WTC-7, per the request from NYC-CAN. One hundred and thirty-three. I mean, let's put that in perspective. NYC-CAN claimed to have gathered 30,000 or so signatures for their ballot initiative, right? Not really quite enough to qualify for the ballot, but close. There was no mind in Kevin's mind as well, as many people were standing where Kevin claims to have been standing and none of them had to run for their lives. Note: Prior to the destruction of Building 7, no steel-frame high rise had ever succumbed to fire. Afterwards, the NY Times would report, “Engineers and other experts…were for weeks still stunned by what happened with 7 World Trade Center…‘We know what happened at 1 and 2, but why did 7 come down?’”[v] In May 2002, eight months later, FEMA would say, “The specifics of the fires in WTC 7 and how they caused the building to collapse remain unknown at this time…[T]he best hypothesis has only a low probability of occurrence.” [vi] Given 1) the lack of precedent for fire-induced collapse of steel-frame high rises, 2) the “low probability of occurrence” of a fire-induced collapse, and 3) the engineering community’s inability to explain Building 7’s destruction after it happened, we must ask how officials at the scene were able to predict Building 7’s destruction with such certainty and precision several hours in advance. Hat Tip: Commenter Gost. Great find! Discussion here, along with lots more photographs. Lifton seems to be upset that I have endorsed a book, STRANGER THAN FICTION, which traces the history of Zionism from the late 1800s to the present day and advances evidence, not only of the history of terrorism practiced by those who wanted to create the State of Israel, but of Israeli involvement in the events of 9/11. I had independently concluded Israel was involved in 9/11 before I discovered this book. I must admit that I had no clear concept of Zionism until relatively recently, when I began inviting experts on the subject onto my radio program, "The Real Deal", including Stephen Lendman (13 March 2010), Barry Chamish (30 March 2010), and Elias Davidsson (10 July 2010). I found the book to be extremely compact, insightful, and illuminating, and read 6-8 chapters on the air STRANGER THAN FICTION (26 April 2010). I interviewed the author, Albert Pastore, Ph.D., which is a pseudonym, on Friday, 28 May 2010, and had it rebroadcast Monday, 31 May 2010, which was Memorial Day. All of these programs either are or will be archived on http://radiofetzer.blogspot.com. You can read the book Fetzer recommends online here. It's a presentation of the usual anti-semitic trash that gets wheeled out by the 9-11 Troofers: the dancing Jews, Odigo warnings, Zim American Shipping, etc., with a historical section on the Lavon Affair, the USS Liberty, the King David Hotel, etc. The author relies on anti-semites like Henry Ford and Charles Lindbergh for quotes. Fetzer also recommends Rediscover 9-11, a site dedicated to Israel-bashing. I'm sorry to say, Steven, that you are indeed a nutty heretic. Because if there is anything that New York City lawyers like, it is being repeatedly harassed. Send just one letter per week in June! At the beginning of each week, NYC CANwill report how many letters and faxes were sent the previous week! This way we all get to know whether or not we reached our goal. If you are not already signed up at NYCCAN you can sign on now in order to receive these templates each week. It’s free! • At the beginning of each week NYC CAN will send out a template of the letter. Feel free to edit the letter to make it your own, but please be sure to stick to what the letter is saying. The template is available below. • Copy/paste the letter, edit it as you see fit, and mail or fax it to the District Attorney’s office. We are asking you to mail or fax your letter because the District Attorney’s office asks for complaints to be written. But I love this post by Will Bunch at Media Matters about Rand Paul appearing on Russia Today, or, as I call it, KookTV. Yep, if you appear on Russia Today, you're pretty much an anti-American nutbar. Particularly revealing is the fact that Rand chose that outlet rather than a teeny, tiny American news program called Meet the Press. You know how it is. I like the article for the way it bashes the Truthers; I am sure that plenty of conservatives will hate it for the way it bashes Rand Paul. But this is a well-deserved bashing. Any candidate that appears on Russia Today needs to understand that they're appearing on KookTV. It's hilariously "Truther-friendly", features nincompoops like Alex Jones, Luke Rudkowski and Max Keiser, and other so-called "Patriots" who appear to think that the best indication of their loyalty to their country is to get on Russian TV and bash it. The world's most famous troofer will apparently serve a month in stir for domestic violence.